I think I should have called this blog 'Genealogical Distractions' or some such thing, because I seem to spend most of my time climbing around in side branches of the family. Lately I've been chasing down descendants of Clara Cockram, George's youngest sister, and continuing to pursue John and Grace Cockram. I'm now waiting on some information about them to come from a very kind person in Devon who's going to hunt up some records for me, and from a couple of newly discovered 3rd cousins, who are looking through their late mother's papers and photos. Now I really must get back to George! I still don't know where he was or what he was up to when the 1871 census was taken, but I know he was living in Plymouth in 1875, so that's where we'll go. At that time, England had been transformed by the Industrial Revolution - even by 1851, when George was born, the census showed the urban population was larger than that of the rural areas. Towns and cities not only offered jobs with higher pay, but promised a varied social life, which appealed particularly to young men and women who found life in a small community oppressive and dull. No doubt George was one of many optimistic young Devon men drawn to Plymouth by the promise of a decent income and a more interesting life. An 1852 government report found that the overpriced, overcrowded and unsanitary living conditions in Plymouth were the worst in Europe, except for Warsaw. The average number of people living in each house in Britain was five, but in Plymouth it was ten. The city then undertook large scale slum clearances, substantial public housing improvements and other amenities such as proper drains and sewers, and horse-drawn trams. 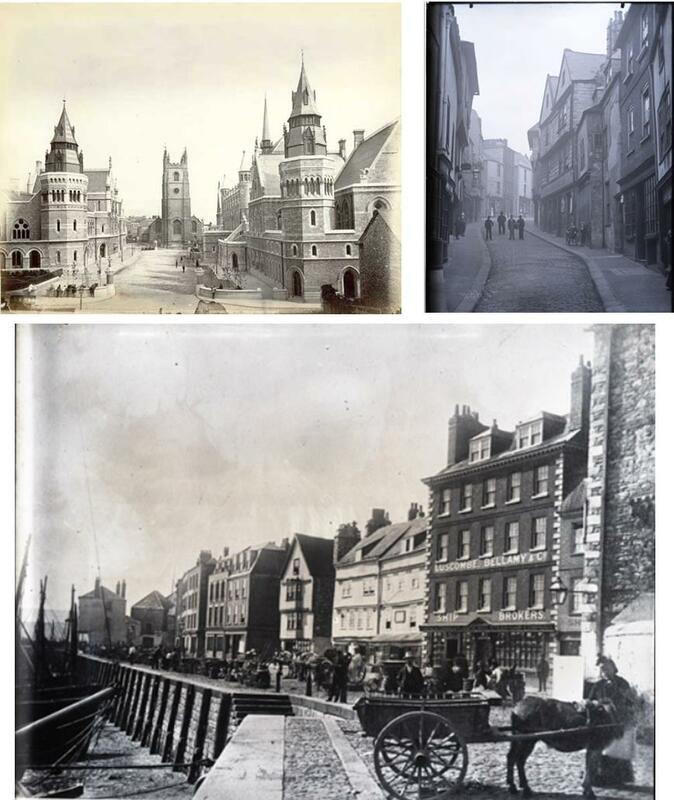 More improvements followed, including the Guildhall, Law Courts and Municipal Offices, which were constructed in the 1870s in a French Gothic style, reflecting Plymouth's burgeoning civic pride. By the time George arrived (probably by train), the city had a population of about 70,000 and a great many attractions. 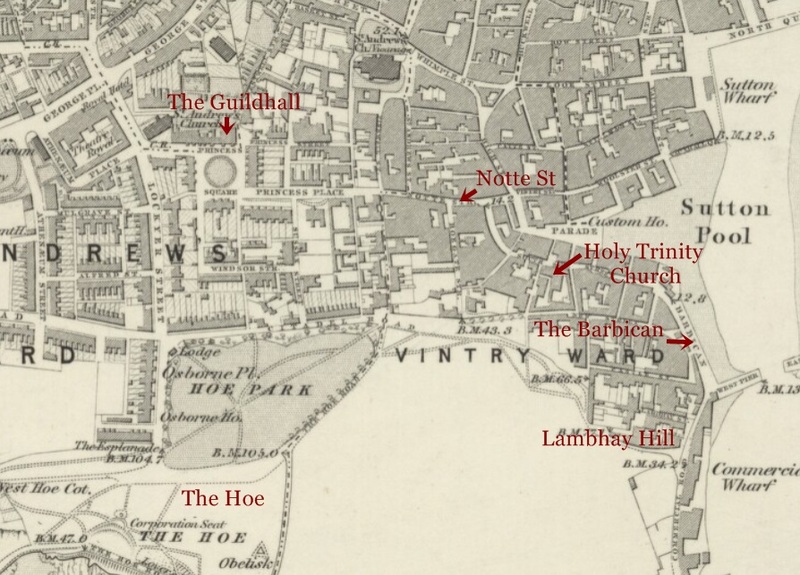 There were theatres, tearooms, hotels, a public library, tradesmen and shops of all descriptions - including over 400 'Victuallers and Beershop-keepers' and about 50 'Brewers and Wine and Spirit Merchants' - and a large seaside park, the Hoe, which is still a popular attraction for locals and visitors. Bottom: Barbican Quay c. 1890 - George and Louisa lived not far from here. But city life wasn't all beer and skittles. Urban unskilled and casual workers struggled with low wages, long working hours and irregular incomes, as well as fear of accidents and the dread of slipping into poverty. George may have found himself working in diabolical conditions for very low pay, and wondering if he should have stayed home. I speculated earlier that he might have got work at the dockyards, perhaps in ship building, or cargo handling. He could as easily have been employed in brewing, soap making, sail making, glass and china making, printing, fishing or any number of other local industries. Whatever he did for a living, he certainly would have been introduced to a very different way of life. 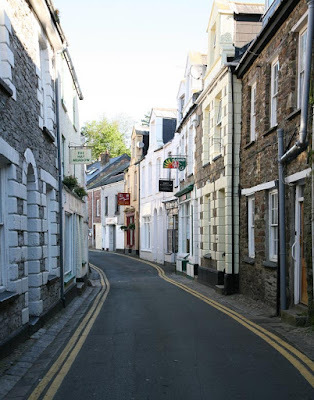 Sometime after 1861, Jane Murphy and her daughters Jane and Louisa had moved to Plymouth from the little Cornish town of Mevagissey where they were all born. Perhaps Jane was looking for a better life too. Her daughters would have been too young at the time to have a say in the decision. possibly in one of these very buildings. Jane Sr found work in Plymouth as a laundress, and Jane Jr went to work as a live-in servant in a boarding school. Louisa was probably still going to school. At age 14 in the 1871 census, no occupation, not even 'scholar' was supplied for her. 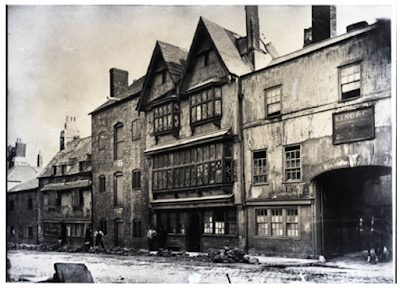 At that time she and her mother lived at number 4 Notte St, which was a lodging house. The head of the household was a newsagent, suggesting that perhaps the lodgings were above the shop. Other residents were an interesting mix - a post office manager, a servant, a labourer, a stable man and a lawyer's clerk. Today, it's hard to tell whether the building still stands, as the street has changed dramatically. Buildings in Notte St c.1870, with labourers doing roadwork. I don't know how or when Louisa and George met, but it may have been in Notte St. For a time, George lived there too, but whether he was there at the same time as the Murphys, I don't know. 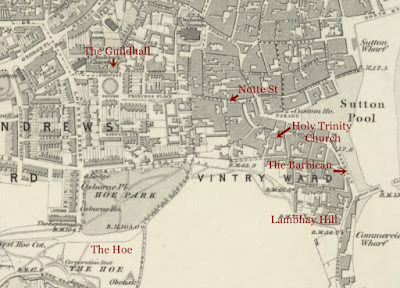 By the time he and Louisa got married, he was living in Notte St, perhaps at the same lodging house, and Louisa and Jane had moved to Lambhay Hill. I wish I could tell you about George and Louisa's courtship, but it remains a mystery. All I know is that they were married in April 1875 at Holy Trinity Church. 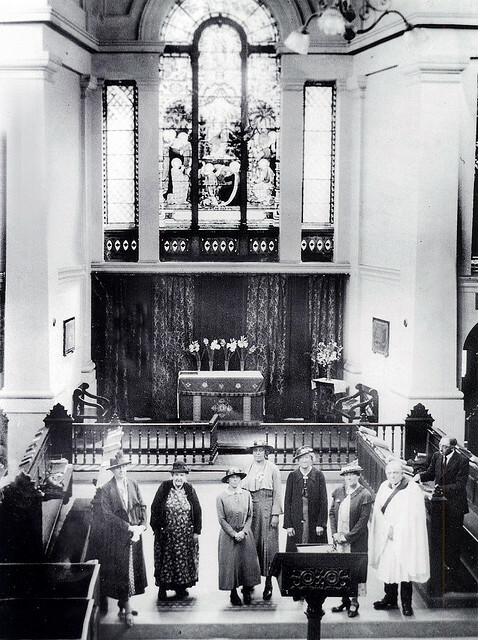 This church, at the corner of Southside Street and Friars Lane, was a large stone edifice, built in 1840 to seat 1000 people. It was badly damaged in an air raid in 1941 and later demolished, and I haven't been able to find any pictures of it before then, except this one of the altar, taken in 1915. It's impossible to say when George started to entertain the idea of migrating to Canada, but at the time, Canada was actively enticing British migrants to come and open up the west. This large, young country with a small population desperately needed people from 'the mother country', to clear the land, establish farms and businesses, and help the country grow and develop. 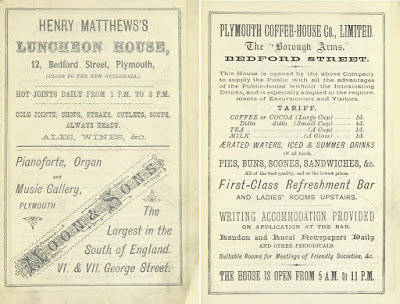 The Canadian government advertised the attractions of Canada all over England, emphasizing that domestic servants and anyone with basic labouring or farming skills would be most welcome. 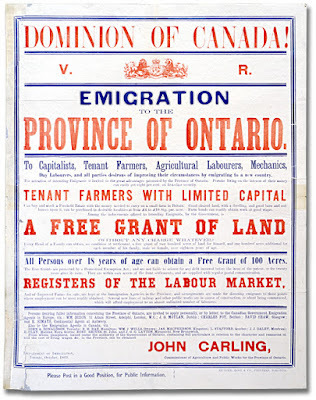 Reading the pamphlets and posters they produced might have made any downtrodden English labourer believe that Canada was the promised land - and a great many of them got on ships and went to start a new life there. It's quite likely that it was this opportunity to make a better life for himself that spurred George to go too - assuming, for the time being at least, that he wasn't running away from anything. 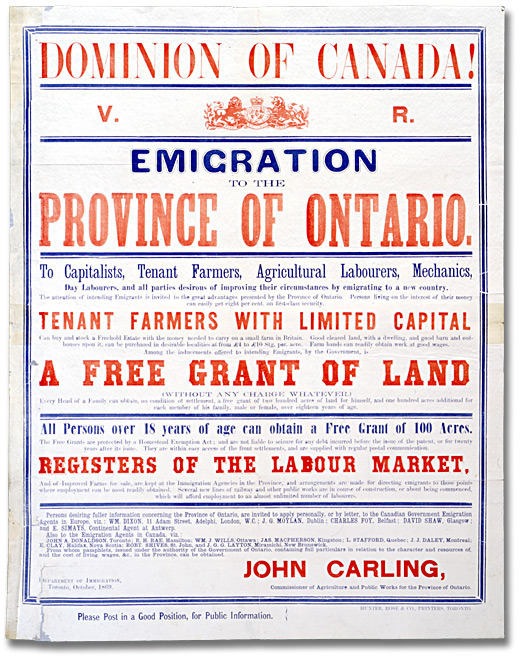 One of many posters and pamphlets circulated in England by the Canadian government. Judging by their first child's birthdate, Louisa's pregnancy was probably discovered either just before or just after the wedding. This must have put a spanner in the works regarding any emigration plans they were making. I have to assume that the reason George went to Canada on his own in June that year was to allow Louisa to have her first child in the relative comfort of Plymouth, with her mother near, rather than in the unknown wilds of Canada. What I'm still unable to assume with any confidence is the reason why he boarded the ship as Thomas Smith. Neither do I know if Louisa was even aware that he had done so. She didn't change her name at that time, and when her child was born in November, she was registered as Clara Cockram, daughter of George Cockram. But the following year, Louisa and Clara would become Smiths and head to Canada too.